A deeply hydrating hand cream to soften and nourish skin, nails and cuticles while helping to protect from environmental pollution. 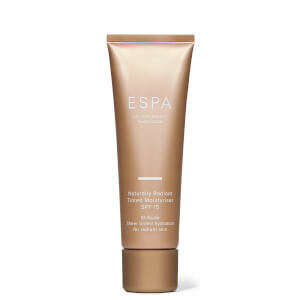 Deeply moisturising Shea Butter softens hands and conditions nails, Mulberry, Liquorice and Bearberry revitalise the skin’s appearance while Vitamin C-rich Rosehip helps protect against the elements, for beautifully soft skin. Water (Aqua), Prunus Armeniaca (Apricot) Kernel Oil, Glycerin, Cetyl Esters, Cetearyl Alcohol, Butyrospermum Parkii (Shea) Butter, Sorbitan Olivate, Cetearyl Olivate, Helianthus Annuus (Sunflower) Seed Oil, Kaolin, Ricinus Communis (Castor) Seed Oil, Phenoxyethanol, Cetyl Palmitate, Sorbitan Palmitate, Sclerotium Gum, Xanthan Gum, Butylene Glycol, Citrus Reticulata (Tangerine) Peel Oil, Hydrolyzed Keratin, Limonene, Benzoic Acid, Lavandula Angustifolia (Lavender) Oil, Nasturtium Officinale Extract, Rosa Canina Fruit Extract, Linalool, Dehydroacetic Acid, Citrus Aurantium Amara (Bitter Orange) Peel Oil, Tocopherol, Sodium Hydroxide, Pelargonium Graveolens Flower Oil, Citrus Aurantium Amara (Bitter Orange) Flower Oil, Potassium Sorbate, Santalum Austrocaledonicum Wood Oil, Alcohol, Arctostaphylos Uva-Ursi Leaf Extract, Citrus Grandis (Grapefruit) Fruit Extract, Glycyrrhiza Glabra (Licorice) Root Extract, Morus Bombycis Root Extract, Scutellaria Baicalensis Root Extract, Ethylhexylglycerin, Geraniol, Citronellol, Sodium Benzoate. Use morning and evening and whenever needed. Massage into the hands until fully absorbed. 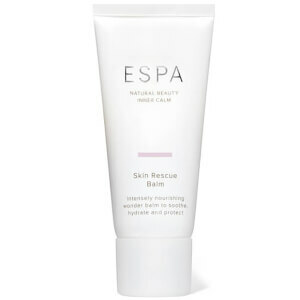 For an extra nourishing boost, apply a layer of Skin Rescue Balm to cuticles.